I’m consistently wowed by the geometric designs that Katie Walker fiddles with and frequently shares. 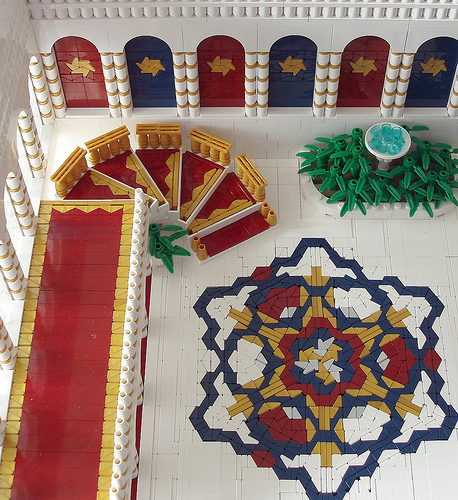 It’s extra rewarding when she incorporates the results of her experiments into beautiful architecture like this grand staircase and mosaic floor. Great picture choice. From this angle I can also see the cheese on the left and right of the red carpet. Bravo Katie! My God — it’s full of cheese!